It's the little things: New in; New favorite store! Okay, I finally went to Forever 21 and I'm kind of in love! Went to the store in Antwerp, and fortunately 2 friends of mine live there. So two good reasons for me to go to Antwerp on a regular base, besides it's a really beautiful and lively city of course! I only bought 2 blouses but that was more of a financial reason than it was because of the collection. The one on the left is in fact greener than it looks here, it's more moss-green. And the top is kind of salmon/pink/coral/something. 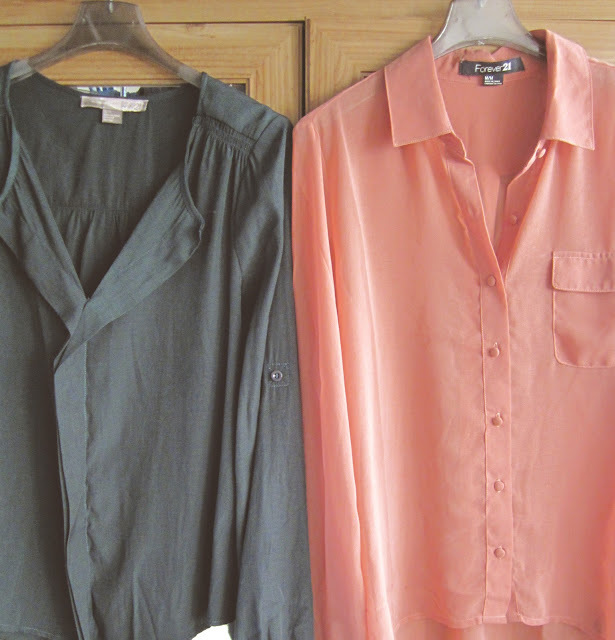 And I love those colours together, so when I'm wearing the moss-green one I want to wear salmon/pink/coral/something-coloured nail polish and vice versa! aaaah mooi, vooral die rozige! !